Flight operations were affected at the Indira Gandhi International (IGI) airport here between 7.30 a.m. and 11 a.m. with visibility dropping to below 50 metres. The low visibility delayed around 200 flights with over 40 flights diverted to other airports and several cancelled. According to the IMD, the mercury will start falling from January 1. 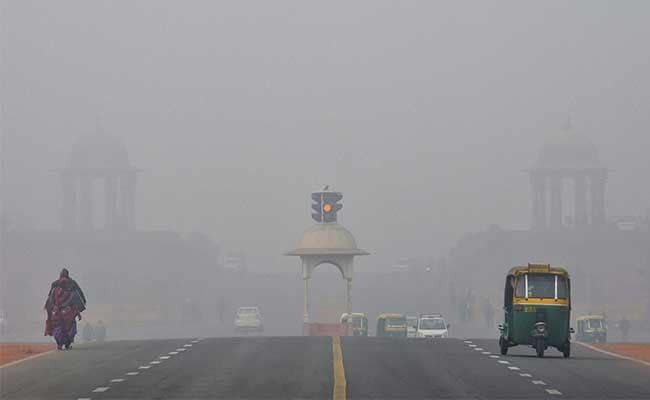 The weather office has predicted dense fog on Monday morning in Delhi with temperature expected to fall further to five degrees Celsius. A thick fog enveloped the city this morning and disrupted flight operations for over three hours. Even as flight operations resumed at around 11 a.m., the three-hour delay led to bunching up of flights which took hours to clear up. At least 15 trains were also cancelled, 57 delayed and 18 rescheduled due to fog in several parts of northern India. The India Meteorological Department (IMD) said there would be dense fog on Monday morning as well with mist or shallow fog during the day. "The minimum temperature on Monday would fall to five degrees Celsius from 6.4 degrees Celsius recorded Sunday," an official said. The maximum temperature on Monday would hover around 23 degrees Celsius, the official said. On Sunday, the maximum temperature was recorded at 23.9 degrees Celsius, four notches above the season's average while the minimum temperature was recorded a notch below the season's average at 6.4 degrees Celsius. According to the IMD, the mercury will start falling from January 1 with cold winds expected from the snow-covered mountains in the north.